A&E (an initialism for its former name, the Arts & Entertainment Network), is an American cable and satellite television channel that serves as the flagship television property of A+E Networks, a joint venture between the Hearst Corporation and Disney?ABC Television Group subsidiary of The Walt Disney Company (both of which maintain a 50% ownership interest). The channel originally focused programming on biographies, documentaries, and drama series (especially crime dramas and mysteries) but has later expanded to include reality television programming. 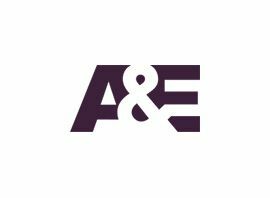 As of February 2015, A&E is available to approximately 95,968,000 pay television households (82.4% of households with television) in the United States. The channel is headquartered in New York City and operates offices in Atlanta, Georgia; Chicago, Illinois; Detroit, Michigan; London, England; Los Angeles, California and Stamford, Connecticut. The U.S. version of the channel is shown in Canada while international versions exist for Australia, Latin America, and Europe. In its original format, the network had often shown programming from abroad, particularly BBC network productions from the United Kingdom. Examples of British programming frequently broadcast on the channel included the documentary Freud. However, the broadcast of British programming on A&E has diminished greatly since it began incorporating more reality shows onto its schedule. For example, the network waited almost a year and a half to show the fourth series of Spooks, retitled as MI-5, first airing it after prime time on Friday nights at 11 p.m. Eastern, before pulling the series after only two episodes, it later aired the rest of the season´s episodes in a day-long marathon on October 21, 2006. Its fine arts programming have also been completely removed from the channel´s schedule. Thursday nights once featured an anthology series called A&E Stage, hosted by Tammy Grimes and later John Mauceri, which featured telecasts of notable plays, concerts, full-length documentaries related to the arts, and complete operas, although shown with commercials. Such programs as Otto Schenk´s 1978 production of Fidelio, with Leonard Bernstein conducting, were rebroadcast on this anthology, as well as an adaptation of Agatha Christie´s Spider´s Web, starring Penelope Keith, originally broadcast in the UK on December 26, 1982. The final fine arts-related show to air on the network, Breakfast with the Arts, once featured a higher quantity of classical music than in its final years, and fewer interviews. The show was cancelled in July 2007.